Recanati, a few miles from the B & B Montegallo, located between the valleys of the rivers Potenza and Musone, on top of a hill from which you can see the coast of Dalmatia in gionate sunny: it is considered one of the “balcony of the Marches”, for beautiful panorama offered to its visitors. 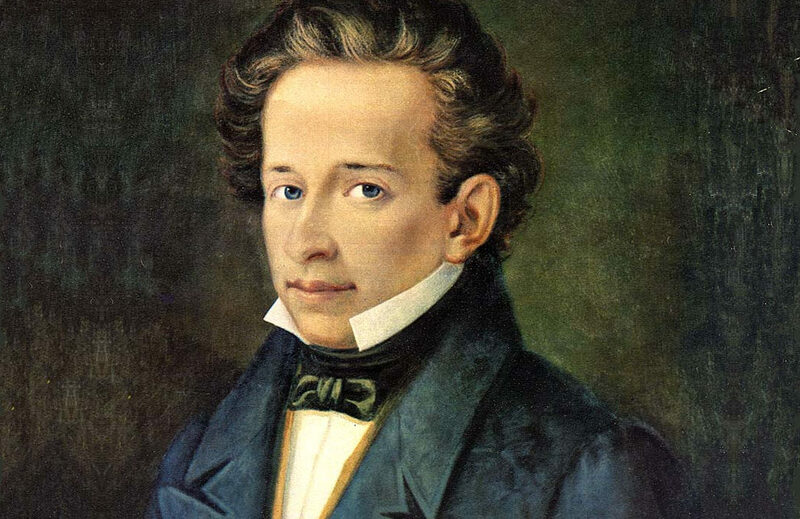 And speaking of Recanati, is almost impossible not to mention Giacomo Leopardi, the greatest poet of the nineteenth century and the Romantic Italian, one of the most authoritative figures of world literature, also considered an important philosopher for the thickness and depth of the reflections contained in his lyrics . Recanati inspired many of the works of the poet, just think of the square of the “Saturday of the Village”, that could be seen a few meters from his home, at the hill of “The Infinite” on Mount Tabor, the tower’s “Lonely Sparrow” next the church of St. Augustine. Thousands of visitors come every year to Recanati, defined the World Centre of Poetry and Culture, to visit these places dear to the poet and his birthplace, Palazzo Leopardi, still inhabited by descendants of the poet and open to the public. The library of Casa Leopardi preserves more than 20,000 ancient books and incunabula, collected over the years by James and his father Monaldo. Recanati has given birth also to another artist, Beniamino Gigli, which we feel is important to remember: the content is dedicated a museum which displays the clothes from the scene and the many memories of long and wonderful career. Other sites of historical importance culturare that are possible to admire Recanati: the Civic Museum Villa Colloredo Mels, the Diocesan Museum, the Museum of Contemporary Art and the painters of emigration, the Tomb of Beniamino Gigli and the Necropolis of Fontenoce, only to name a few. Would you like to spend your holidays in Recanati, World Centre of Poetry and Culture? Choose our hotel, book now for a truly unforgettable stay!